Learn the basics of crafting with synthetic clay. We will create a tiny bakery tableau with perfectly *inedible* food. 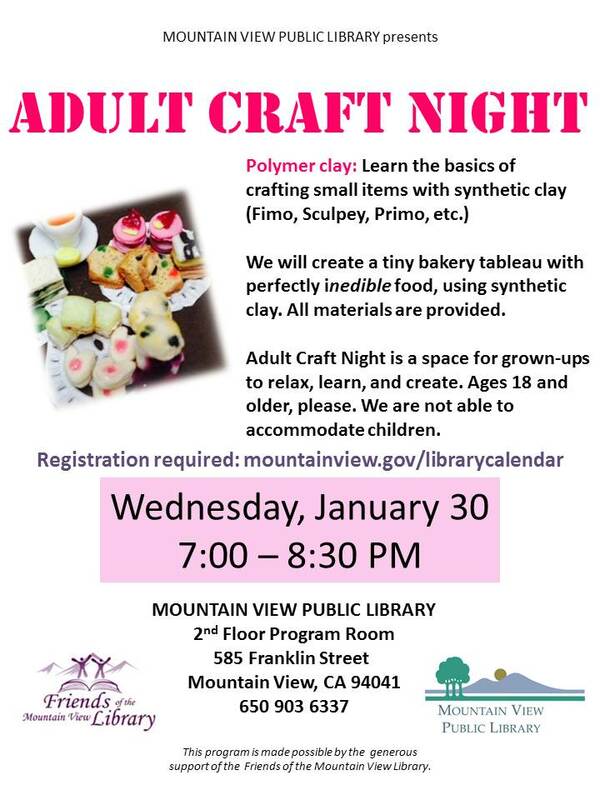 Beginners are welcome; all supplies are provided. Due to the popularity of this program, if you are more than 15 minutes late without prior notice, your reservation may be canceled and your place given to someone on the waitlist.